I found this product to be great at first but after few weeks it cause awful reflux for my baby so had to switch to a different brand. We changed milk 3 times and then found hipp after a panic buy at 6:50pm on Christmas Eve. Our little girl was bringing up all other formulas, coming out in rashes and also getting constipated but all of this has stopped with hipp and is helping her poop a lot more regularly, she’s a much happier baby on this milk and we can’t fault it. It’s about 50p more than cow and gate/aptamil but these didn’t agree with her but it’s well worth the extra! 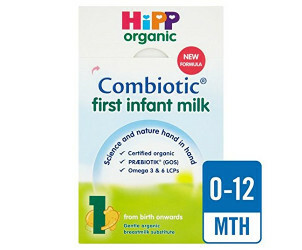 My son loves the taste of the hipp organic milk. I tried other brands with him and he preferred hipp organic. He was exclusively breast fed and for top up feeds he would have a bottle of this and he loved it. Wouldn’t buy anything else now. I've tried all other formulas with my first 3 children and all have had issues, poor weight gain, reflux, wind...etc. so this time I went for this on the recommendation that it was gentler..my 4th baby is thriving. She guzzles Oz after oz and winds perfectly. Very happy we found a dormula which my baby likes. Even so, i was hopeing she will sleep all night, but maybe we need to try the hungry baby version. When our twins were born we initially tried another brand of formula, but it made them incredibly constipated and did not digest well. We decided to try HIPP and have not looked back since, and even have recommended it to friends who have recently had children. It’s very soft and not too heavy, and not to mention it’s organic benefits. Love this formula! This product like all other formula on the market is straight forward to make up. The only downfall I found was it made my little one very gassy! Gas of which smelt really bad and caused constipation. Obviously all babies react differently to different milk but I liked the fact it was organic and a reasonable price. After another milk I choose this one because it's organic. Baby loves it and no more problems of digestion. 2 pockets are really useful and the spoon also. Easy to prepare the bottle. My little one is breastfed but when left with daddy we always use hipps. It’s easy to mix it’s disolves quickly and baby likes it. It smells good too not like some other formulas. I was initially breastfeeding my newborn but had to move to formula as he had bad reflux. Since I put him on Hipp formula at 11 weeks old he has gone from strength to strength and it has really helped with his reflux. 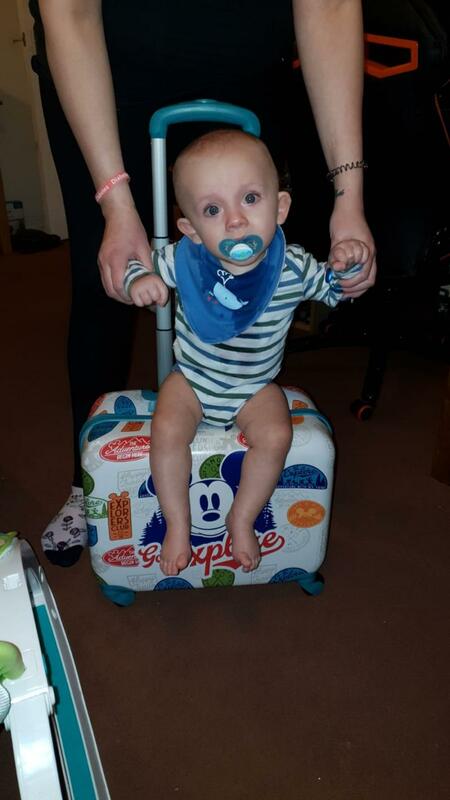 He is still on it at nearly 9 months old. This milk was a great for our little one for a few week unfortunately he developed an intolerance to cows milk therefore had to give it up. I was advised to try different mills as my son was having reactions to them. Hoop was the last one I tried and it was the one with the least aggressive reaction. It seemed a lot gentler on his belly during and after feeds. Not a very fair review of the product due to little mans allergy, sorry. The day I switched my sons formula to hipp was the best decision I made as he feeds so much better . 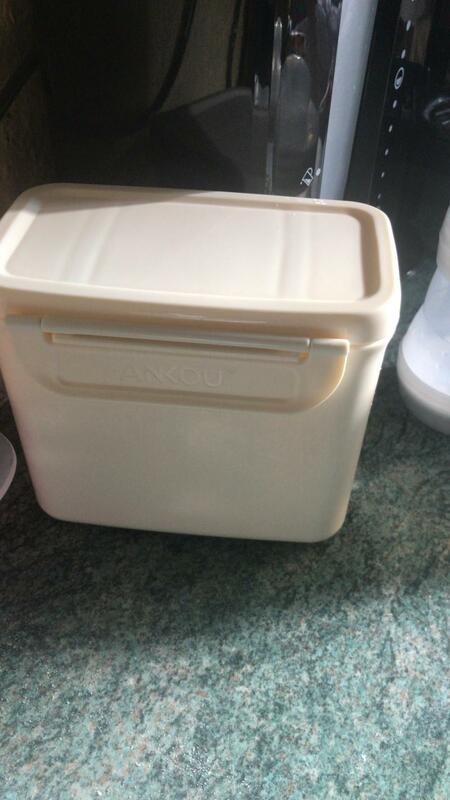 I combo feed my now 6 month old son and we decided to use this to complement the breast, I must say that it was so gentle on his tummy, I was really impressed. It is easy to digest, my boy loves this milk organic. Is good to have a formula that doesn’t smell rotten. I highly recommend this infant milk. We started our little one on a different branded milk, he didn't seem to take to it well but there wasn't anything distinguishingly wrong. We tried a couple of other brands and no real improvement, until we tried the Hipp. It just seemed like the right milk for our boy, definitely more gentle on his stomach than others we tried. 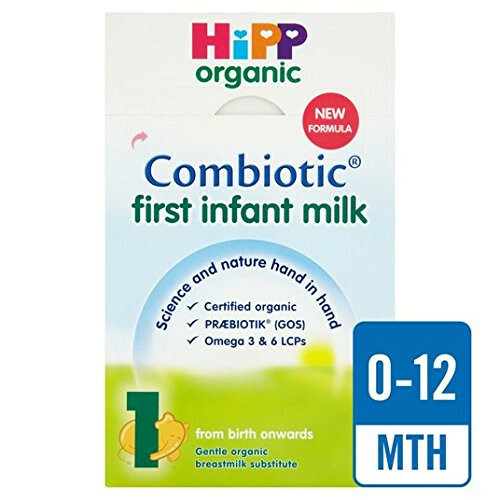 This is my favourite , I started my little one on aptimil and they then changed the formula making her very ill ... I spoke to some friends and they recommended hipp and so I chose to change to it and it was the best desision in just a few days me and my partner noticed a huge difference in her . Being happier and no more sick or poo explosions !! Would defiantly recommend to others now !! It’s organic. Better for sensitive and breastfed baby’s. Nice to have a formula that doesn’t smell rotten and make baby’s colicky. My baby is breastfed but those times I need to fill her up or I’m busy I have turned to this formula. All in all it’s a good product however my baby has eczema so has a slight lactose intolerance- would be nice to see an organic lacto free for this reason! After having issues breastfeeding with both of my little ones I had to move to formula. I tried several brands and found that the hipp brand suited them perfectly. Easy to digest and no reflux it was well worth the very reasonable price. I will definitely be grabbing some ahead of my next baby's arrival. This seemed to be a good stop gap for my baby whilst I waited in my milk increasing. Would be good if they brought out pre mixed in the first stage. The gentle organic formula is specially formulated using only the finest organic milk and contains Omega 3 & 6 LCPs (DHA & AA) and PRÆBIOTIK® oligosaccharides (GOS), as well as all the important vitamins, minerals and other nutrients (required by law) that babies need to grow strong and healthy.